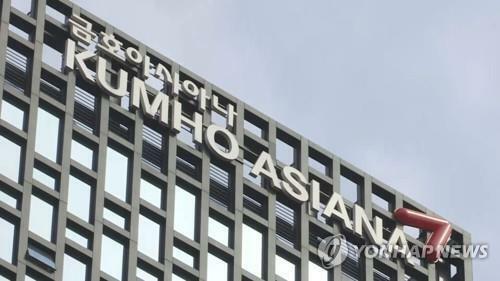 SEOUL (Yonhap) -- North Korea has inked a 10-year contract with British oil and gas company Aminex to explore and extract oil on the seabed off the country's east coast, the Financial Times (FT) in London reported on June 1. 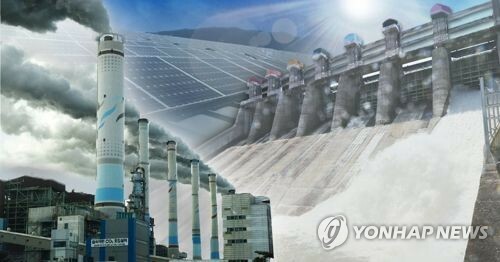 For the deal, North Korea presented Singapore-registered Chosun Energy as its representative to establish a 50-50 joint venture, Korex, with Aminex, the FT said, noting a filing with Singapore's Accounting and Corporate Regulatory Authority. Chosun Energy is an investment holding company operated by North Korea with a paid-up capital of US$1.2 million, according to the newspaper. But the newspaper did not elaborate further details on the company. Korex will search for oil in an area of 50,681 square kilometers (20,272 square miles) in parts of North Korea's east coast, Aminex said in a statement. The contract with the British company, which is listed in London and Dublin, was signed around mid-May in London by officials from the North's oil company and a head official for Aminex. 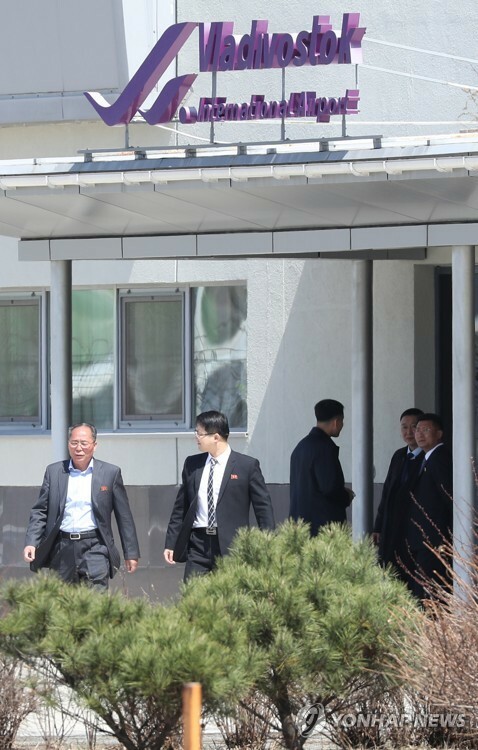 "Officials from North Korea's state oil company traveled to London two weeks ago to conclude the 10-year contract. Lord Alton, chairman of Britain's parliamentary North Korea group, says he showed the officials around parliament," the FT added. North Korea has contacted foreign companies and investors to attract foreign capital for searching for its rich natural resources, including crude oil. In 1997, the North claimed it had reserves of 5 to 40 billion barrels of oil. North Korea has maintained ties with Animex since 1998. Aminex has been hunting for potential oil reserves in the North Korean portion of the Yellow sea since it signed with the country for joint oil and gas development in January 2005. 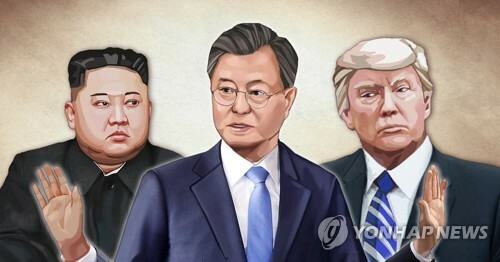 HONG KONG (Yonhap) -- North Korea could take more provocative acts before the November summit of the Group of 20 nations in South Korea if history is any indication, a Japanese investment bank said on June 4. Nomura International warned that North Korea may display more "bad behavior" similar to the March sinking of South Korea's 1,200-ton corvette Cheonan, of which North Korea stands accused. "Experts are wondering whether North Korea's bad behavior... may be no coincidence," said Alastair Newton and Kwon Young-sun, two Nomura economists, explaining that North Korea has done similar acts when South Korea hosted global events. North Korean agents bombed a Korean Air jet in mid-air 10 months before the 1988 Seoul Olympics, killing all 115 passengers and crew members on board, while naval ships of the two Koreas clashed in the Yellow Sea in 2002, the year South Korea co-hosted the World Cup event with Japan. "Especially given the domestic stresses and strains from which North Korea appears to be suffering at present, we should be braced for the possibility of more of the same -- and, possibly, worse -- for some time to come," the economists said in a 40-page report titled "North Korea: Through a Glass Darkly." The economists expected that tensions on the Korean Peninsula will ease somewhat shortly, but were skeptical whether there will be practical progress in the global efforts to denuclearize the secretive regime. "If the six-party talks resume -- and we believe they may as China in particular looks to keep Pyongyang in check without risking regime collapse -- we are doubtful that North Korea will be prepared to make or deliver on meaningful concessions in response to the demands of the international community," the report said. Nomura said it sees a low probability of North Korea's imminent collapse, especially in the run-up to Kim Jong-il's succession and the 100th anniversary of the birth of Kim Il-sung, the leader's father and the founder of the regime, in 2012. At the same time, the bank doubted the political status quo in Pyongyang is sustainable for more than a short period. While placing a relatively low probability on the reunification of the two Koreas in the foreseeable future, the Nomura report said the cost of the reunification will be heavy and burdensome. In order to reduce the possible costs, the Nomura economists suggested of adopting "less ambitious and more realistic" methods -- such as the "one country, two systems" model used by China and Hong Kong. U.S. Calls on Myanmar to Abide by Arms Embargo on N. Korea: State Dept. WASHINGTON (Yonhap) -- The United States on June 4 called on Myanmar to abide by the U.N. resolutions banning arms transactions with North Korea, suspected of providing nuclear and missile technologies to the South Asian country. "We continue to encourage Burma to meet its international obligations, including those in the area of nonproliferation," State Department spokesman Philip Crowley said. "We share international concerns for Burma's intentions and its relationship with North Korea. And we expect Burma, just as we expect all countries, to live up to their international obligations. We continue to watch transactions between North Korea and Burma." Crowley was responding to the report by a Myanmarese Army defector who insisted that the country has been working with North Korea for the development of nuclear weapons and long-range missiles. U.N. resolutions adopted after North Korea's nuclear and missile tests impose an overall arms and economic embargo on the impoverished, but nuclear-armed communist state. U.S. Assistant Secretary of State for East Asian and Pacific Affairs Kurt Campbell visited Myanmar last month in the first bilateral high level contact under the Obama administration to call on the military junta to abide by U.N. resolutions banning arms exports and imports from North Korea, and improve its human rights record. One day earlier, U.S. Senator Jim Webb (D-Virginia) canceled his trip to Myanmar, or Burma, citing the Southeast Asian country's alleged military connection with North Korea. Webb said he still believes in a continuation of dialogue "for the evolution of a more open governmental system and for the future strategic balance in Southeast Asia. "However, a productive dialogue will be achievable only when these two matters are further clarified," he said. Webb visited Myanmar last August to win the release of an American citizen, John Yettaw, detained for swimming to the lakeside home of Burmese pro-democracy leader Aung San Suu Kyi. The senator also met with the Burmese top leader, General Than Shwe, and the opposition leader, who has been under house arrest for nearly 20 years. 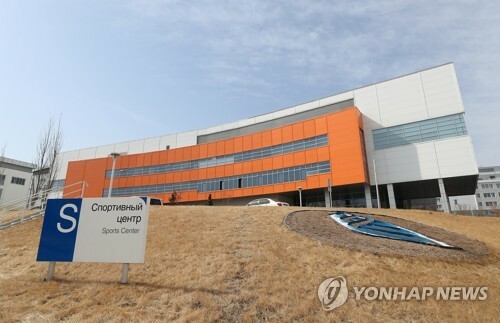 TEMBISA, South Africa (Yonhap) -- North Korea's World Cup team was defeated 3-1 by Nigeria on June 6 in a warm-up match held five days ahead of the kick off of the South African finals. The Nigerians pulled ahead 15 minutes into the game held at Makhulong Stadium in Tembisa, near Johannesburg, with Yakubu Aiyegbeni delivering his team's first goal of the match. Victor Obina gave the Nigerians their second goal with a penalty kick in the 61st minute. North Korean forward Jong Tae-se soon responded, netting a goal after just two minutes. His team later won a free kick near the Nigerian goal in the 69th minute, but the ball crashed off the goal post. Obafemi Martins sealed the third goal for the Nigerians. The match was preceded by a stampede of thousands of football fans who rushed the gates outside the stadium, leaving several people and a police officer injured. The match was briefly stopped early in the second half over safety concerns in the overcrowded main stand, where fencing had been removed. Jong told reporters after the match that his team had difficulty suppressing the "wild" Nigerians players, but said that the South Koreans should fare well against the Nigerians in the group competition. 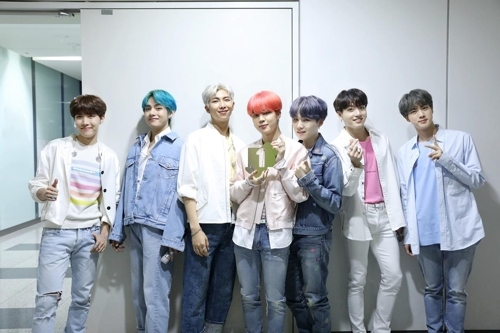 "The Nigerians are strong, but they are also slow," Jong said, adding that the South Koreans "should do well" against Nigeria. Nigeria faces South Korea, Argentina and Greece in the group competition. The last time the North made it to the World Cup finals was at the 1966 tournament in England. The country ranks 105th among FIFA members, the lowest among the 32 World Cup finalists this year. The North Korean team is in Group G, the so-called group of death, which includes four-time World Cup champion Brazil and top-ranked contenders Portugal and the Ivory Coast. WASHINGTON (Yonhap) -- U.S. Secretary of Defense Robert Gates on June 6 ruled out a military option against North Korea after the North's torpedoing of a South Korean warship that killed 46 sailors in March. "As long as the regime doesn't care about what the outside world thinks of it, as long as it doesn't care about the well-being of its people, there is not a lot you can do about it, to be quite frank, unless you are willing at some point to use military force," Gates said in an interview with BBC. "And nobody wants to do that." Gates' remarks came one day after he spoke to the annual regional security forum of defense ministers from 28 countries, called the Shangri-La Dialogue, in Singapore, and said that the U.S. was reviewing "additional options" against North Korea without specifying, in order not to set "the wrong precedent." South Korea severed all ties with North Korea, except for the joint industrial complex in the North's border town of Kaesong, and took the case to the U.N. Security Council for possible sanctions after an international team of investigators concluded late last month that a North Korean mini-submarine torpedoed the Cheonan near the inter-Korean border in the Yellow Sea. North Korea denies involvement and has threatened all-out war if sanctioned. Gates supported South Korea's bid to condemn North Korea in the Security Council. "You can bring together additional pressure; you can do another resolution at the U.N.," he said. SEOUL (Yonhap) -- Economic and social unrest is escalating in North Korea as the isolated country's surprise currency reform last year has sent its monetary unit fluctuating against the U.S. dollar, a report said on June 7. The North knocked two zeros off its currency in November last year to rein in galloping inflation, squash free market activities and tighten state control over the economy in the first currency redenomination since 1959. According to the report by the state-run Korea Development Institute (KDI), the North Korean won tumbled to 1,000 to the U.S. dollar in late April on the country's currency market from 600 a month earlier. Due to the plunge in the value of the North Korean currency, the price of a kilogram of rice soared to around 400 won from 200 won during the period, the think tank said, adding the currency fluctuation is affecting prices for other products. 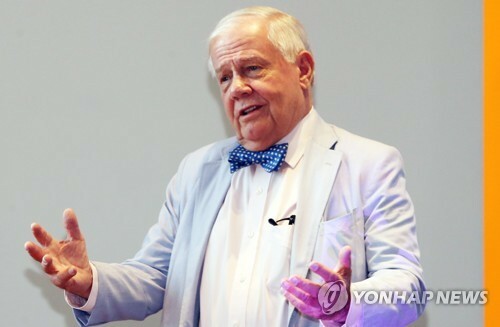 "The abrupt currency reform led to economic chaos and a drop in the value of the North Korean won to the U.S. dollar, which then affected prices for rice and other daily necessities," a KDI researcher said. The KDI expected consumer prices in the communist country will continue to rise due to the falling value of the North Korean won. The think tank attributed the North Korean currency's fluctuation against the greenback to the fact that economic players in the impoverished country don't have trust in the won. GENEVA (Yonhap) -- New childhood photos of North Korean leader Kim Jong-il's third son became public on June 8, as chances of the mysterious young man inheriting the socialist state with nuclear ambitions heightened after a string of parliamentary promotions earlier this week. The photos of Kim Jong-un, believed to be now in his late 20s, include one where he is standing among children posing for a group shot against what looks to be a schoolyard. Kim purportedly spent much of his childhood studying in Berne, Switzerland. One of the photos showed a grinning Kim with his arms around who appeared to his classmate. 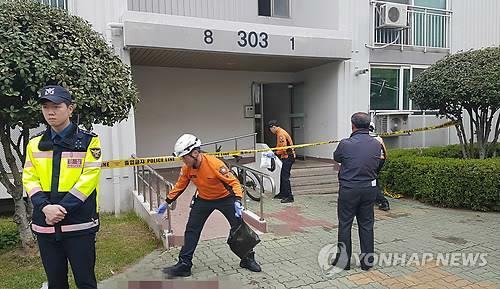 The photos, obtained by Yonhap News Agency, are the latest findings in the search for details on the mysterious young man, who outside officials and experts say is being groomed for leadership. The possibility of him taking over the North in case his ailing father is incapacitated increased on June 7 when his uncle was promoted as a vice chairman of the National Defense Commission (NDC), the highest seat of power, during a rare parliamentary session. The NDC led by 68-year-old Kim Jong-il commands absolute power in the country that has been developing nuclear arms while refusing to return to six-nation talks on denuclearization. Neighboring countries worry if Kim, who suffered a stroke in 2008, dies, it may send the North into a political whirlwind and let loose the nuclear devices while sparking mass defections. Kim Jong-il himself inherited power from his father, Kim Il-sung, who began the atomic project and led the country based on a massive personality cult around his family. Observers say Jong-un may rule as the nominal head of a power oligarchy if his father dies after having ruled since 1994. In another photo obtained in Geneva, a plumpish girl believed to be a daughter of Kim Jong-il is shown smiling while facing the camera. The photo of Jong-un's older brother, Jong-chol, was also found. The children are said to have been born to the leader's third wife, Ko Yong-hui, who died of breast cancer in 2004. Jong-un has been described as resembling his father the most in appearance and temperament. Jong-chol is two years older than Jong-un while his half-brother, Jong-nam, who reportedly frequents casinos in Macao, is in his late 30s. Jong-un is believed to have been educated at the International School of Berne and a fan of NBA basketball.